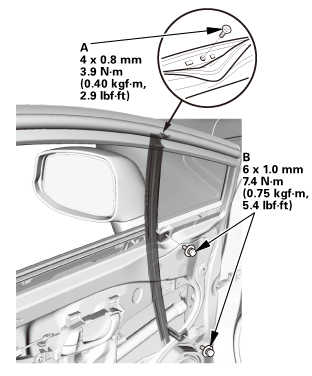 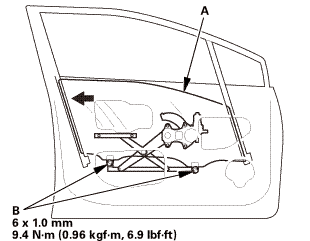 Remove the harness clips (A). 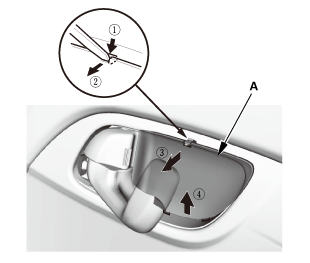 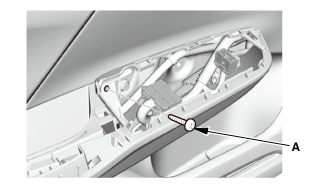 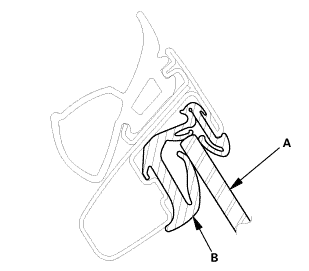 Remove the screw (A) and the bolts (B). 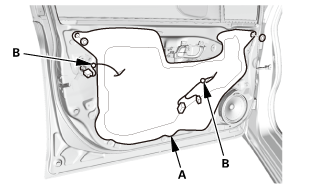 Remove the front lower channel (A). Remove the front door corner glass (A). 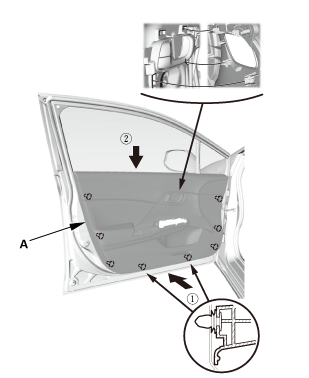 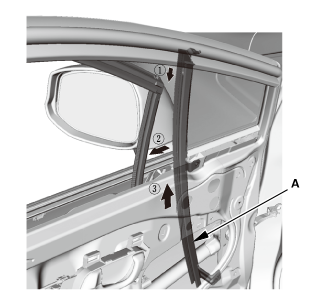 Install the front door corner glass (A). 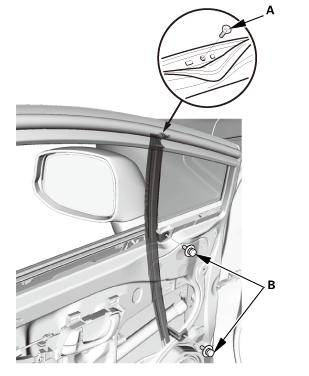 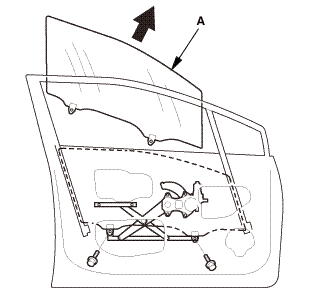 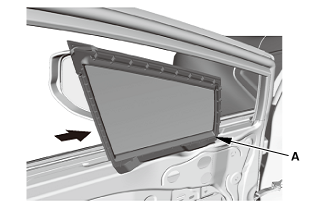 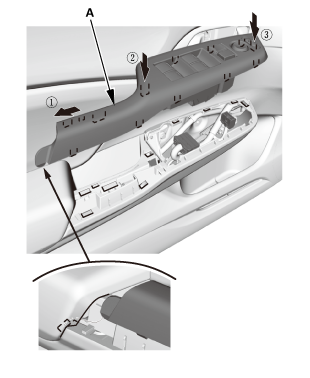 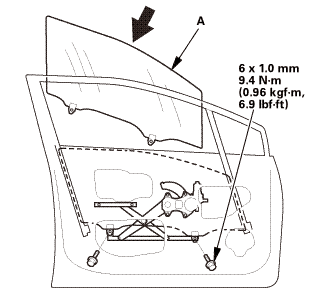 Install the front lower channel (A). Install the screw (A) and the bolts (B).